Their research on the “trained memory” of the “natural killer” cells that fight viruses and tumors, they said, found that the cells in charge of helping fetuses implant in the womb and avoid diseases such as preeclampsia or intrauterine growth retardation are more active during a second pregnancy, because they remember the first and are thus better trained to do their job the second time round. “It is a known clinical fact that second pregnancies are more efficient than first,” Prof. Simcha Yagel, the head of the division of Obstetrics and Gynecology at Hadassah Medical Center, who was on the research team, said in a phone interview with The Times of Israel. Fetuses generally implant better in a second pregnancy; the babies are born bigger and the pregnancy is less prone to diseases such as preeclampsia, a complication that raises blood pressure and causes other damage in the mother. He said that the new study, published in the journal Immunity, provides a cellular and molecular explanation for this phenomenon. 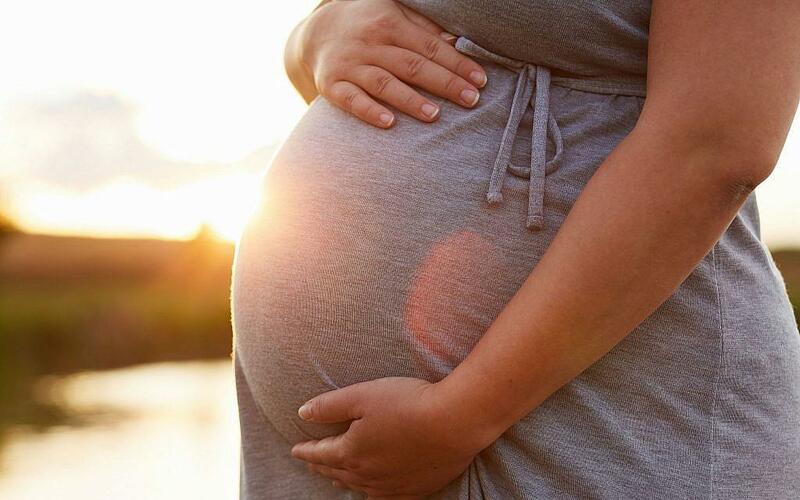 “If we know why the second pregnancy is better than the first, then maybe we can do something to help women with high risk first pregnancies — like after in vitro fertilization or who are older,” based on this molecular research, he said. The study, which lasted more than six years and was based on hundreds of samples of mucous membranes, was led by Moriya Gamliel and conducted with Dr. Debra Goldman-Wohl, together with Prof. Ofer Mandelboim of the immunology and cancer research department of the Hebrew University of Jerusalem, and Yagel. For their work, the researchers studied Natural Killer (NK) cells — these are cells that are present in the immune system of all of us, men and women, and that are in charge of fighting viruses and tumors. However, there are also NK cells that are found in the lining of the uterus at the beginning of a pregnancy. These cells are not belligerent, said Gamliel. Rather, they have turned their “swords” into “shovels” and have become “shields,” whose role is to help with the development of the fetus, she said in a statement. In a pregnancy, these NK cells have two missions, explained Yagel. Their primary role is to help build a successful implantation of the fetus, he said, with the secondary role being that of stopping viruses and other illnesses. Some 70 percent of the cells in the lining of the uterus are NK cells. Their role in the pregnancy is “very important,” he said. They likely originate from the bone marrow of the mother or are present in the endometrium of the uterus – and are triggered into operation at the start of a pregnancy, helping the fetus to survive. The researchers set out to study if there are differences in the NK cells of first pregnancies versus second ones, and looks like they hit the jackpot. They found a “unique population” of NK cells that is unique to second and repeated pregnancies — which were characterized by a higher number of the receptors — NKG2C and LILRB1– they expressed. They called these cells the “Pregnancy Trained” NK cells. “For many years researchers thought that NK cells didn’t have a memory,” said Yagel. “But our research found that they do have memory.” During the study, the researchers found that in each recurrent pregnancy — that is, not the first pregnancy but in subsequent ones — the NK cells remember the first pregnancy experience and improve their function the next time. There was no difference however between the performance of these cells between the second and subsequent pregnancies, Yagel said. The NK cells in a second or third pregnancy remember the first pregnancy and are “better prepared” for the job, he said. They act faster and more effectively. They wait for the trigger “to produce the goodies needed for a successful pregnancy.” This memory remains both between pregnancies and during pregnancies, he said. The first pregnancy “paves the way for the second one,” Yagel said. The findings are somewhat counterintuitive, he said, as one would expect the first pregnancy to get the best shot, paving the way for the others. It is still not clear “why nature, or God, built us in this way,” he wondered. The key then, is to get through the first pregnancy, and others will be better. This insight may help researchers find a way to “skip” the difficulties of the first pregnancy and help train the NK cells from the start, he said, paving the way for the development of new drugs to treat diseases of poor implantation.